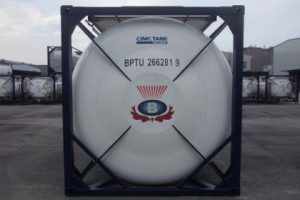 Braid Logistics is continually investing in its service capability and has introduced another 50 X ISO Tanks to its ever-expanding Fleet. Manufactured by CIMC in Nantong, China, the 50 X 26cbm T11 ISO Tanks, like all Braid ISO tanks, are food grade standard. They will be used for bulk liquid distribution for the food and drink industries in New Zealand, Australia and South East Asia.